Professor Brian Cox, physicist and media star, talks to Jim Al-Khalili about media stardom, quantum mechanics and why he sometimes has difficulty crossing the road. Professor Brian Cox of Manchester University describes how he gave up appearing on Top of the Pops to study quarks, quasars and quantum mechanics. Although he describes himself as a simple-minded Northern bloke, he has acquired an almost God-like status on our TV screens; while the 'Cox effect' is thought to explain the significant boost to university admissions to read physics. He talks to Jim Al-Khalili about learning to be famous, his passion for physics and how he sometimes has difficulty crossing the road. In 2005 Brian was awarded a Royal Society Research Fellowship for his work on high energy particle collisions at CERN and elsewhere - an enviable academic achievement. In 2009, he was voted one of the sexiest men alive by People magazine. He has invented a new kind of celebrity - a scientist who's regularly snapped by the paparazzi. Brian wants everyone to be as excited as he is about the laws that govern our universe: the beautiful, counter-intuitive and often weird world of quantum mechanics that explains what happens inside the nucleus of every atom, right down at the level of those exotically named elementary particles - quarks, neutrinos, gluons, muons. Challenged by Jim to explain the rules of quantum mechanics in just a minute, Brian succeeds; while conceding that the idea that everything is inherently probabilistic, is challenging. Even Einstein found it difficult. Schrodinger's cat, or Brian Cox, for that matter, are simultaneously both dead and alive. That's a fact. What this is all means is another question. "Am I just an algorithm?" Brian asks. "Probably", says Jim. Brian Cox and Robin Ince take an irreverent look at the world through scientists eyes. 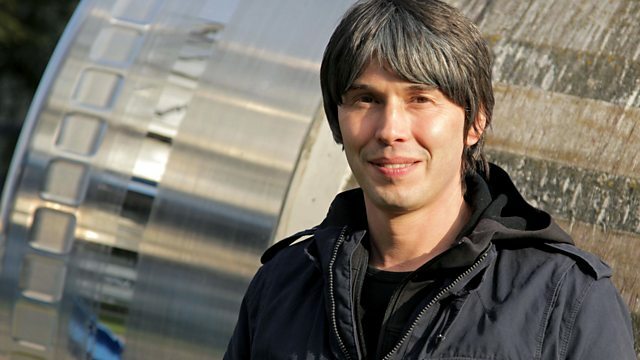 Prof Brian Cox is interviewed by Kirsty Young for Desert Island Discs.